Some people get their kicks killing pregnant mothers just for fun, just for the joy and thrill of seeing another creature struggle for its life and loose. They do! And it is a family affair. These are full term pups that could have been born at anytime. Our very own Mary Omalley (right) and good friend Brendal Davis rushed to the scene and tried to save these pups, but were too late and they were already dead by time they arrived on the beach in Del Ray. So lets tally this week up. 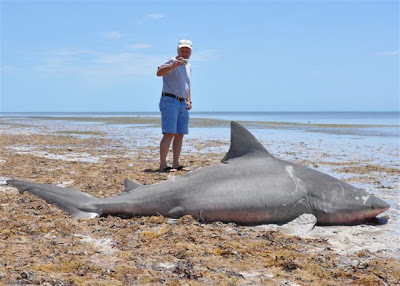 Florida lost 49 sharks (36 hammerheads & 13 bull sharks), of which 2 were reproductive females likely helping sustain the local nearshore population. Now I can say that in my opinion, this is really fucked up. But I am not quite finished yet. Check this out. 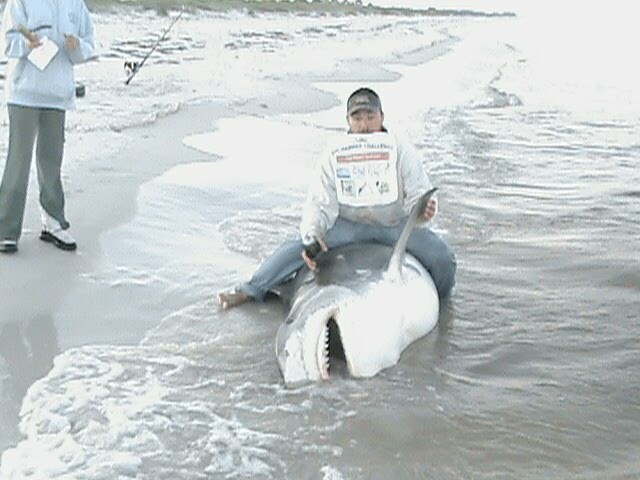 Land Based shark fishing is ILLEGAL in Del Ray Florida. Just last year a group of conservation minded shark fans banded together and wrote letters to the local politicians and spoke up in front of the city council and told them that they were tired of seeing dead sharks washed up on the beaches. 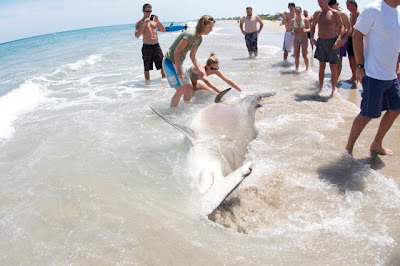 In the end the city council of Del Ray Beach Florida sided with the sharks and passed a city ordinance making shark fishing from its beaches illegal. The fishermen countered with arguments that they have a born right to fish and they should be allowed to catch and release sharks whenever they wanted. Apparently these fishermen rarely if ever eat any of the sharks that they do catch, they say that they just love to hear the sound that the reel makes when a big fish takes the line. This is what I am hearing...Da da ding da da ding, da da ding ding ding ding (theme from Deliverance). They actually even have clubs and stuff check them out. 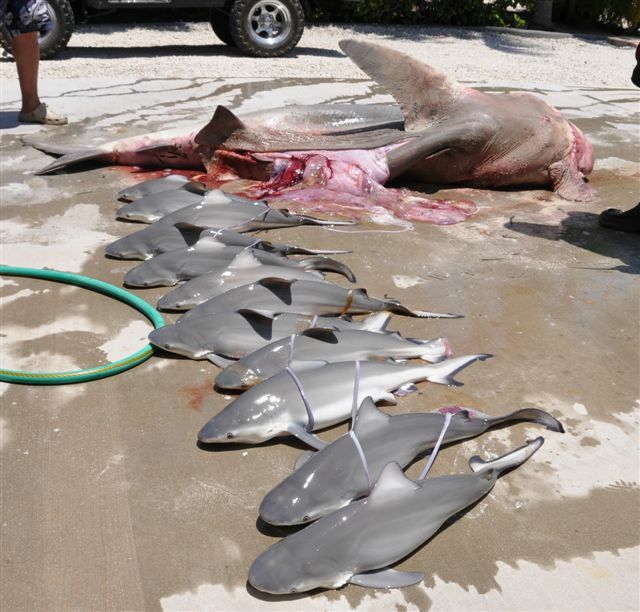 Here is a few snips from the South Florida Shark Club Forum. Big bait #153 for 2010 and big bait # 71 for the BHC. Monica, Joey and I was on our 2nd night of fishing in a row and getting very frustrated. We have spent more nights on the beach this month than at home. 17 nights total this month. 4 runs and we are thinking we are hunting a ghost. My reel went off about 5;10am a slow unsteady run. there was a boat kinda close and i had just woke up. I first thought dam but then my vision cleared and the boat was too far. Just been so long between runs. The reel quit and the boat went on by. 3 min later here we go again slow and steady. I let it go 50 yds or so and set the hook. Like hitting a brick wall. it started taking line for a while kinda slow and jerky. 50 min later we was looking at the dorsal just as the sun was comming up good. Joey got the leader and it took it and went 25yds or so. Her belly was already dragging. Joey got the leader again and i loosened the drag and I waded out to roap her tail. We pulled her up and got the tape and took some pics. It's hard to get everything perfict. I worked the 16/0 hook out of the corner of her mouth. Then i pryed 2 teeth out with my knife. It was too early to get perfect pics and too light to make a flash. I was nervous and wanted her back swimming asap. We put the tag in and i pushed her off. She swam off like nothing ever happened. Total lenth was 11' 9" and she was 80' around. thats right 80' girth. She was pregnate. She is gona have all those little ones soon. I guess she was over 800lbs. A fish of a life time during a tourniment. I got lucky. Iv been letting Joey have 3 and 4 reels and I just been taking mine. Kinda wish he would have caught it. Monica had the video camera and got the whole thing. A set of Jaws like that and i let it swim. Oh well she got lucky and so did i. 1)Shark fishing from a beach does not put at risk swimmers. 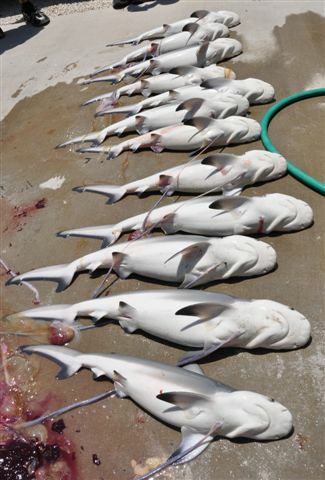 5)We do not chum sharks to a beach (that would be absurd),we drop our baits 200 to 500 yards away from the beach. 6)We do not attract sharks to the beach ,they allready live and thrive there. 7)Dead fish often wash up on the beach ,,,,,,it is the ocean after all . At this time tomorrow I hope to have sweat dripping down my forehead... my arms strained and the pleasent sound of ZZZZZZZZZZZZZZZZZZZZZZZZZZ ringing through my ears. Nah, I can't stop here I have to keep going! I really like this guy, Capt Bill Goldschmitt. However he doesn't think to much of me. We met about a year ago at the Sarasota Shark Tournament. 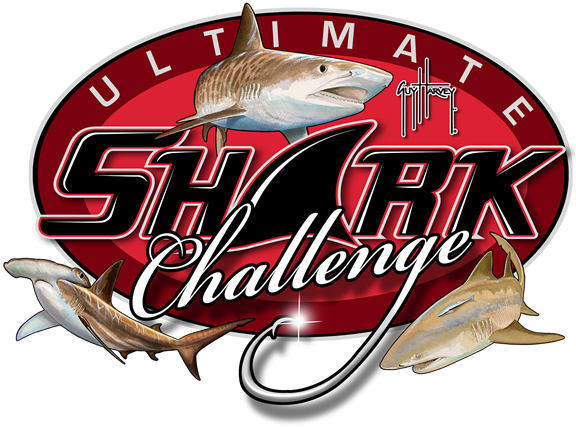 I went there to document the event and see what these shark killing tournaments were all about. Why, do I like him you ask? All I can say is this man does more for our cause than Yao Ming! Just listen to him and you will see. "This whole catch and release fishing is nothing more than a make me feel good deal. Fact is, most hooked sharks undergo a condition during their capture called lactic acid saturation that often paralyzes the fish after capture. Removing the hook not only is dangerous, but most of the time the shark will swim off and sink to the bottom to die or get eaten by other sharks. I've often seen this in the Keys, returning to a reef the next day after releasing sharks, finding them dead on the reef bottom." Thank you for sharing Capt Bill. I could not have said it any better. 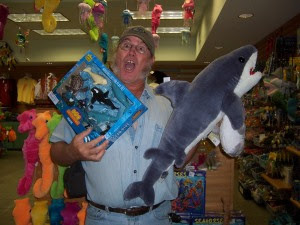 See folks, he can be very useful to shark conservation! This isn't a circle hook! "Pragmatically speaking, it's unfortunately the only way forward, at least in the short term - but I still don't like it and have thus refrained from promoting any Shark fishing and specifically, the new format of Shark tournaments, forward looking as they may be. Thing is, I'm still not convinced that they are not merely the brain child of some clever businessmen who want to establish, market and exploit a new business niche by pandering to the eco movement, as opposed to the genuine desire to reform the existing kill tournaments." 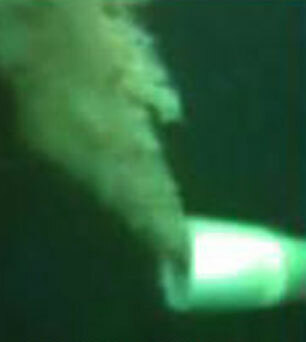 Did you see the size of the tackle these fishermen use? Bloody massive gear! How can that be sporting?? WTF?? One very common trait that I have noticed when I have interviewed shark fishermen and watched their videos is that they have a great deal of fear of sharks. Most of these people are deathly afraid of the ocean period. Of course some of them have much greater challenges and issues, as you can see. In my opinion, that simple fact says volumes about their state of mind. That to me explains their belief that what they do is OK.
Congratulations and a job well done to all the Shark fans in Hawaii. The herculean efforts by Stefanie Brendal of Shark Allies and numerous supporters has paid off with ground breaking shark conservation legislation being passed. By now the news has traveled around the globe. because we will loose too many fish.... you get the idea! Finally it came to the vote, and everyone voted "Yes" except for Karamatsu. submit written comments, but they still voted "Yes". To say that I am relieved and happy is an under statement. resentment and shock about Karamatsu's behavior lingered on. Now the bill is off to the Governor. We don't anticipate that she would veto the bill, but you never know. A veto could be overturned by a majority vote in the Senate and House. the owner that he has relocated the container and has taken soup off his menu. Thank you for Tango Productions for letting me use the footage. Thanks again to all of you for helping us make this happen. Below is some media about the bill. Shark Allies Trailer 2 from Mushy Kid on Vimeo. I would like to start by saying that I do have some experience and knowledge about this topic. I had the opportunity of working in the offshore oilfield industry and also had a very unique experience working in oil spill response. 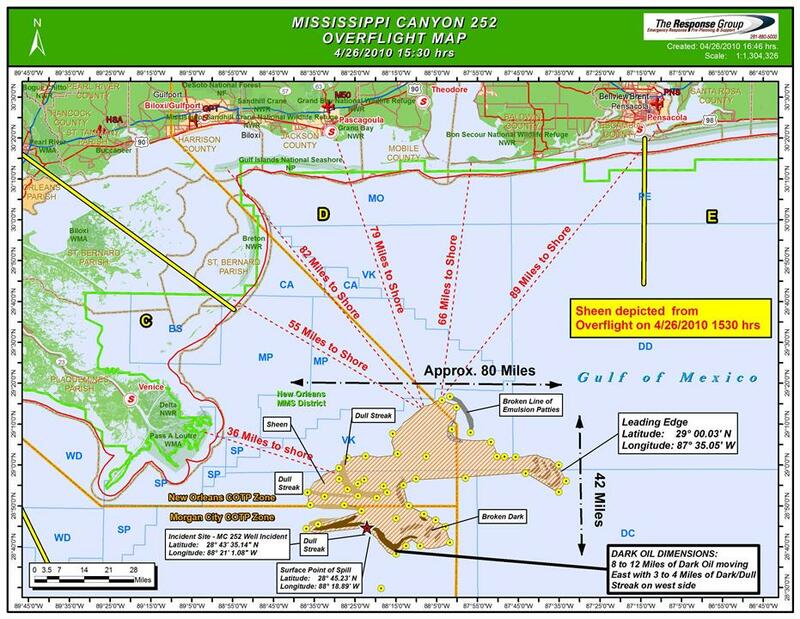 I started my career as a commercial diver working in the Gulf of Mexico in 1983. I spent 7 years working in the oil patch as an offshore oilfield diver and then later worked on the Exxon Valdez oil spill in Price William Sound Alaska in 1990. 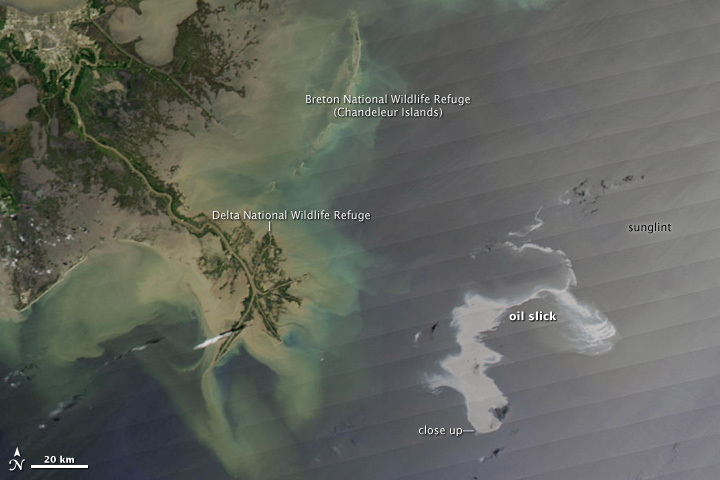 The Deepwater Horizon, positioned off of the coast of Louisiana, went down in flames after several explosions led to the outbreak of a fire that could not be contained. 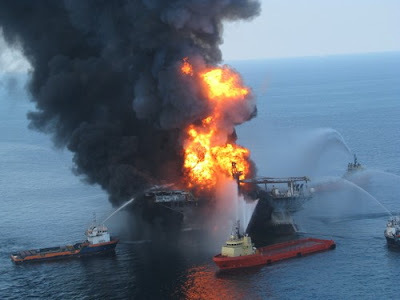 The events started on Tuesday with a minor explosion, followed by a panic call and then a major explosion which set the rig ablaze. The fire raged on for more than a day before the rig sank into the sea. 126 workers were on-board the rig; 11 were killed with another 17 injured. The remaining crew managed to escape to safety. The Deepwater Horizon a semi-submersible drilling unit capable of operating in harsh environments and water depths up to 8,000 ft. It was built by Hyundai Heavy Industries back in 2001 and holds the world record for drilling the deepest oil well in history at 35,055 feet. The oil is a light crude, unlike heavy crude, which would be more dangerous to the environment. 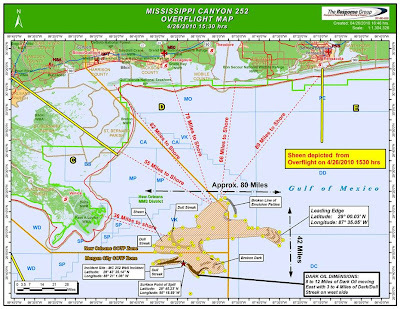 BP and Transocean have contracted Oceaneering International to assist in the capping of the oil well. Oceaneering has deployed robotic submarines (ROV's) to “activate the blowout preventer,” a 450-ton valve at the top of the oil well. I will be keeping an eye on the progress of the cleanup and salvage of Deepwater Horizon. It will be an extremely hazardous and very technical operation. The Deepwater Horizon is insured for total loss coverage and for wreck removal, to the extent removal can be carried out and is required. 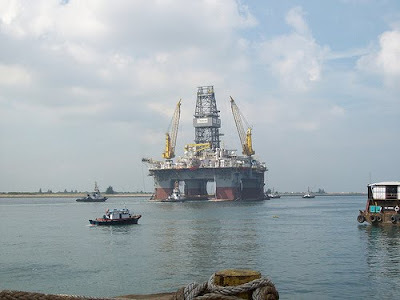 The total insured value of the rig is $560 million.